Hello Guys, Let me share a good news with you. Sam Gaming has completed 7000 subscribers, thanks to everyone who supported us. So as usual Sam Gaming channel keeps a special giveaway on every 1000 subscribers. 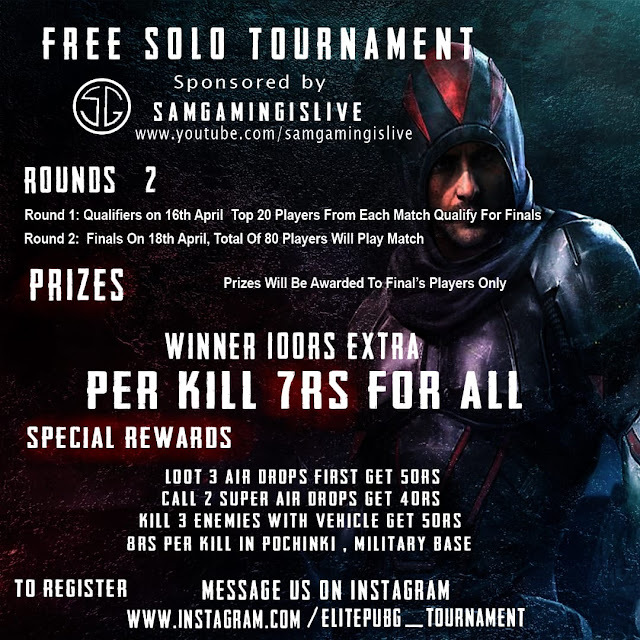 This time again we are doing a special giveaway in collaboration with Elitepubg Tournament and MiniMilitiaWars.